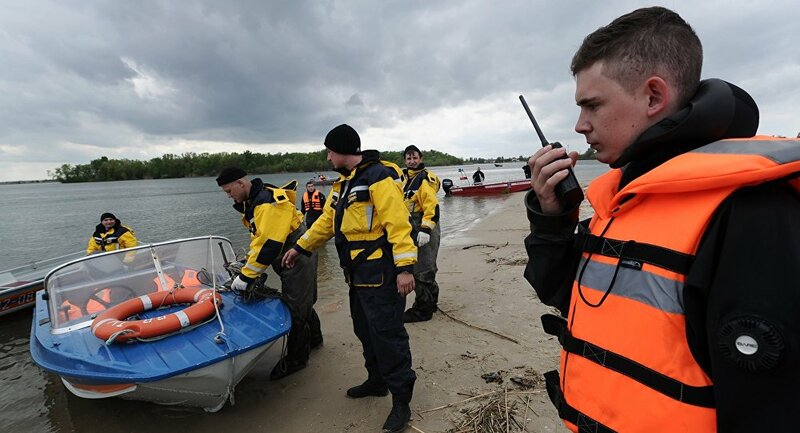 According to committee spokesman Vladimir Markin, the criminal case over Saturday's Syamozero drowning incident in Russia's Republic of Karelia has been passed to the Central Administration of Russia's Investigative Committee. MOSCOW (Sputnik) – The criminal case over Syamozero drowning incident in Russia's Republic of Karelia has been passed to the Central Administration of Russia's Investigative Committee, committee spokesman Vladimir Markin said Monday. On Saturday, three boats carrying a 51-member group, consisting of children and their adult instructors, capsized in Syamozero lake during a storm. Thirteen children have died and one remains missing, according to the latest information. A criminal case was opened on Sunday, with several arrests made. "A decision was taken to pass the case to the Central Administration of the Russian Investigative Committee," Markin told the Vesti FM radio station. According to Markin, one more suspect – an instructor – has been detained. Earlier in the day, Russian Minister of Emergency Situations Vladimir Puchkov called for the Park-Hotel Syamozero tourist site to be closed over Saturday's drowning incident. A criminal case over the incident has been initiated, invoking Article 238 of the Russian Criminal Code, "Fulfillment of Works or Rendering of Services Which Do Not Meet Safety Standards," according to local authorities.